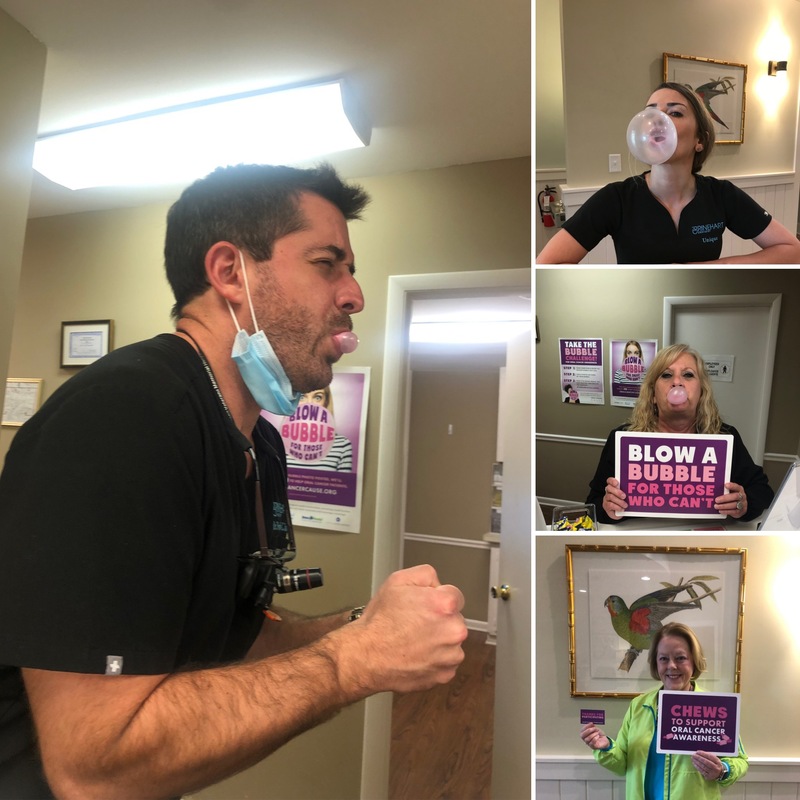 When our patients show support for oral cancer patients, so can we! The patient that blows the biggest bubble in our office by April 30th will win a Pro-Sys Toothbrush. We’re looking forward to this opportunity to work with you, our wonderful patients and friends, to help raise awareness during Oral Cancer Awareness Month.